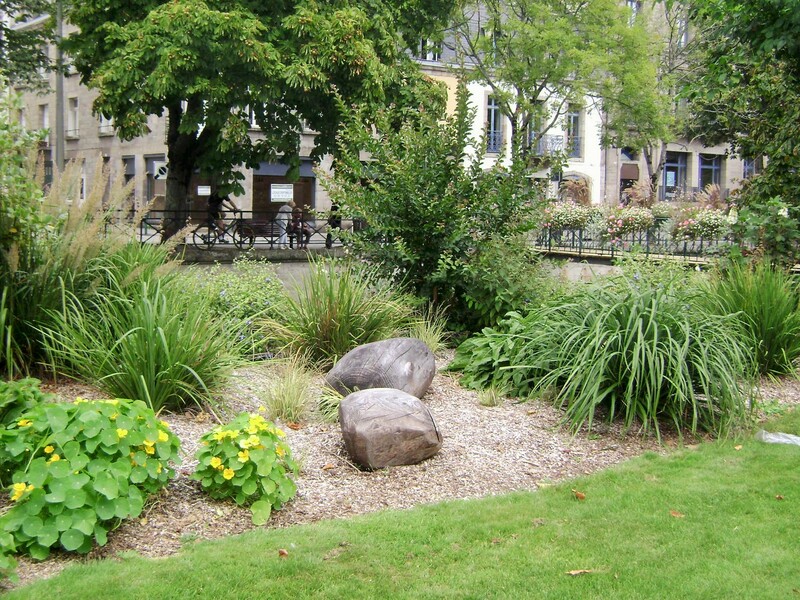 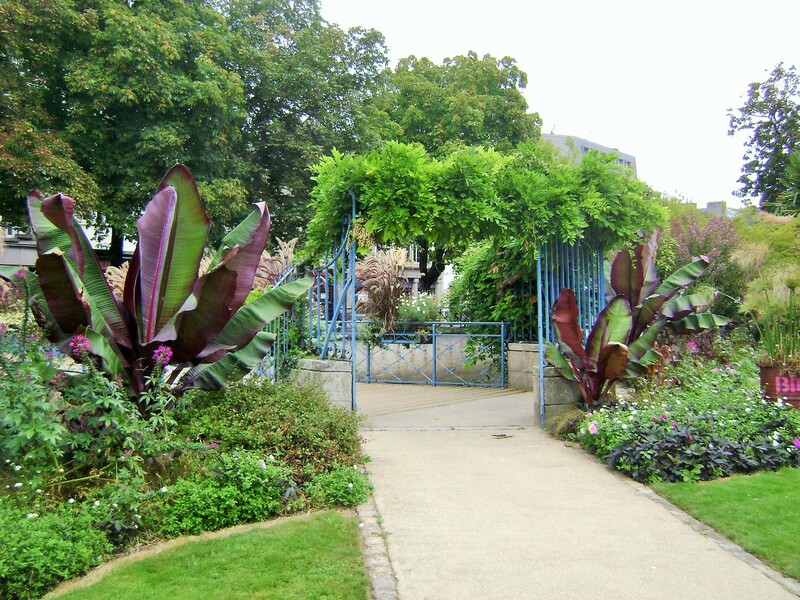 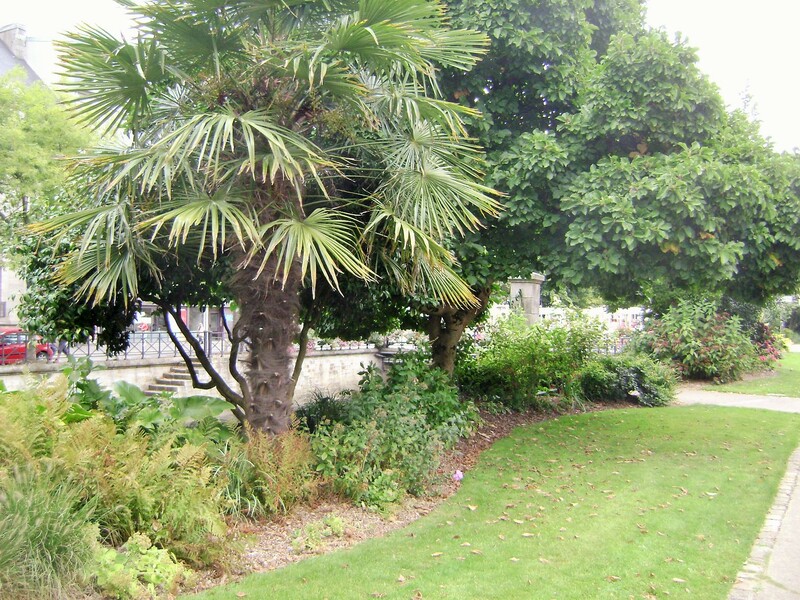 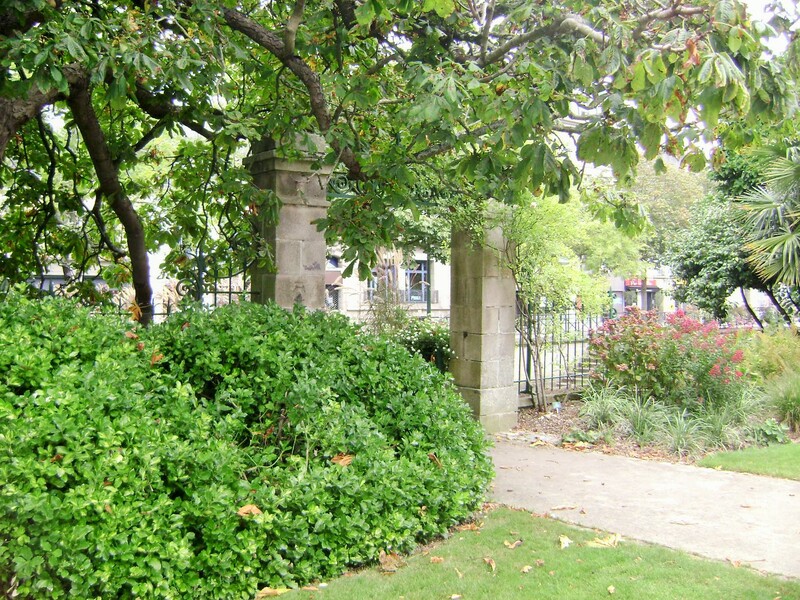 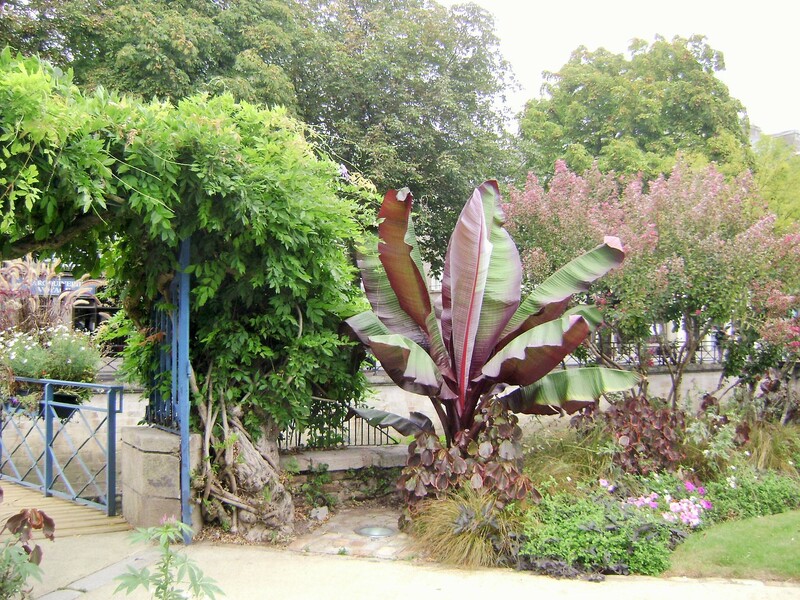 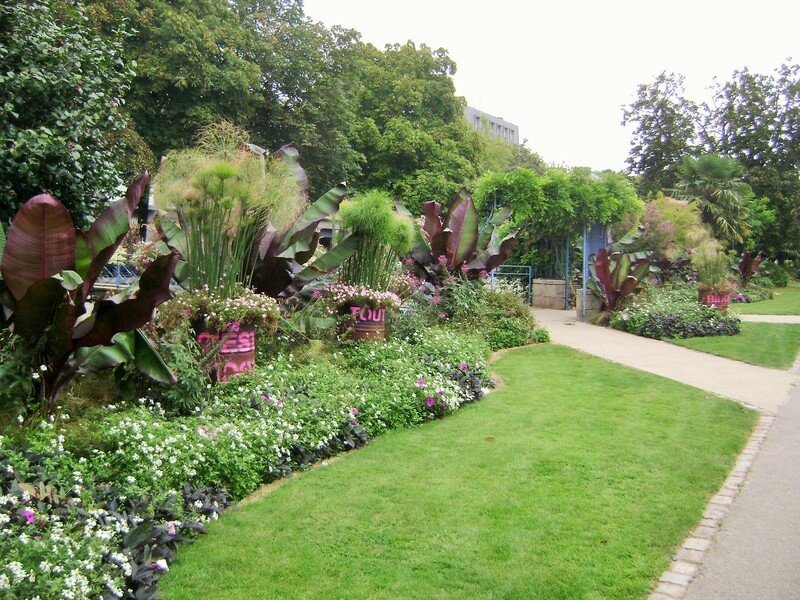 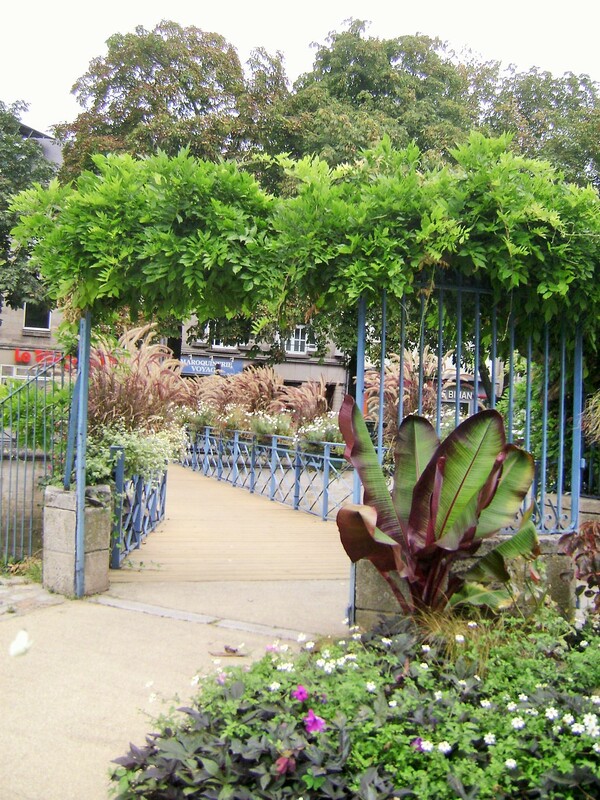 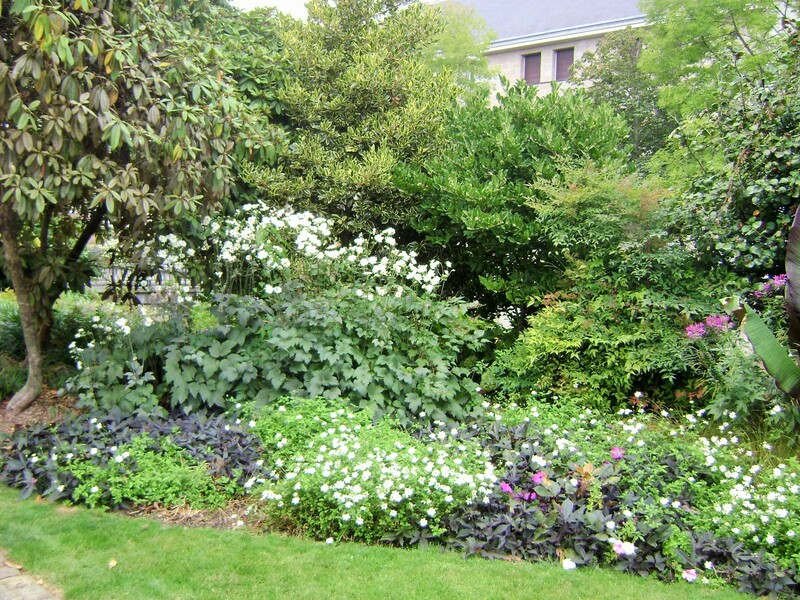 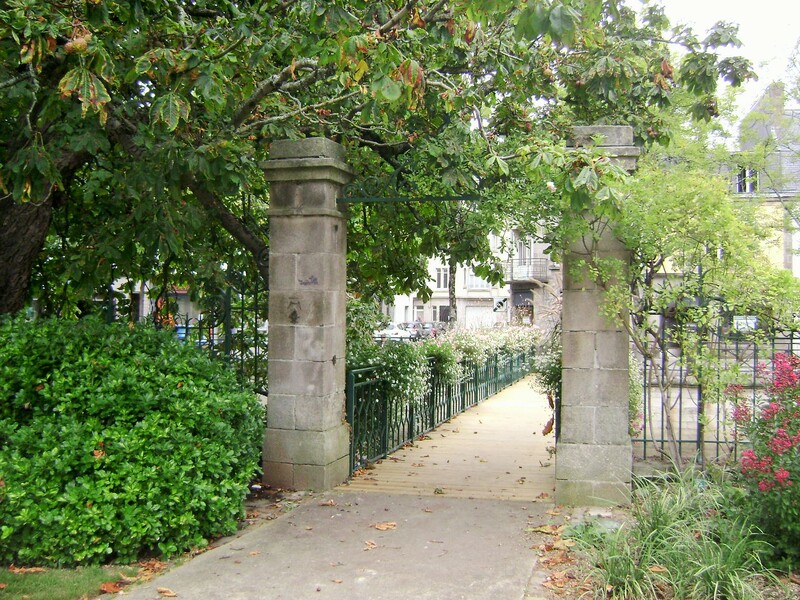 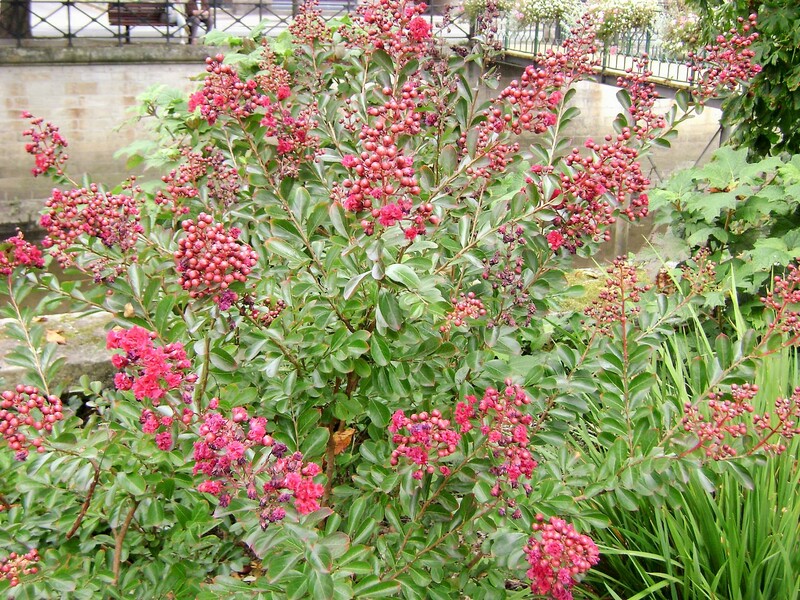 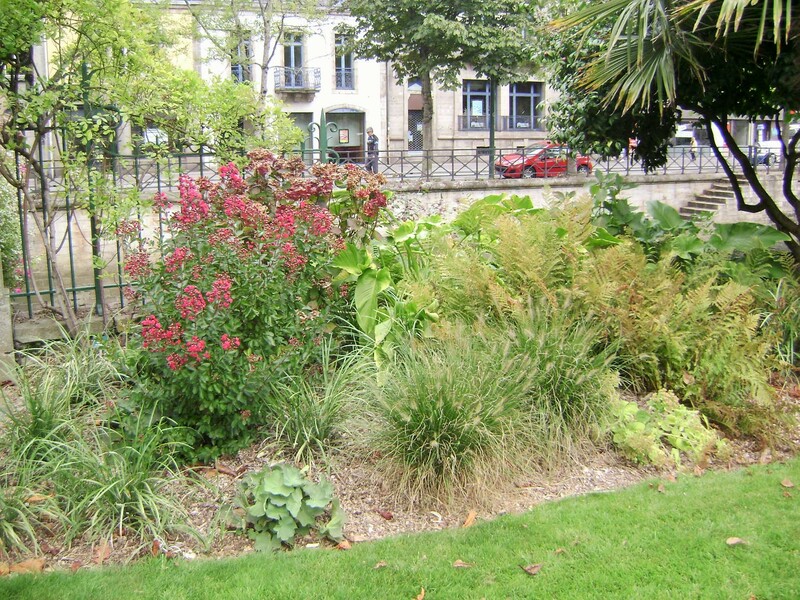 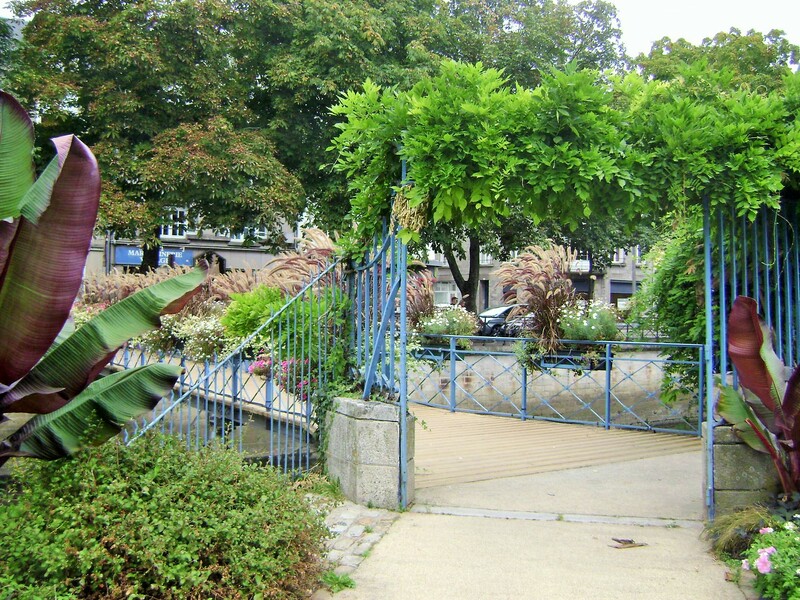 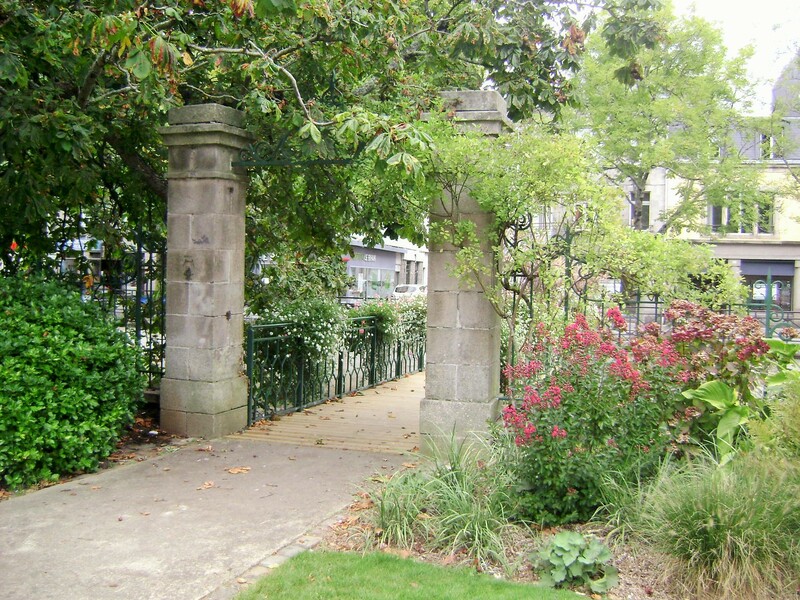 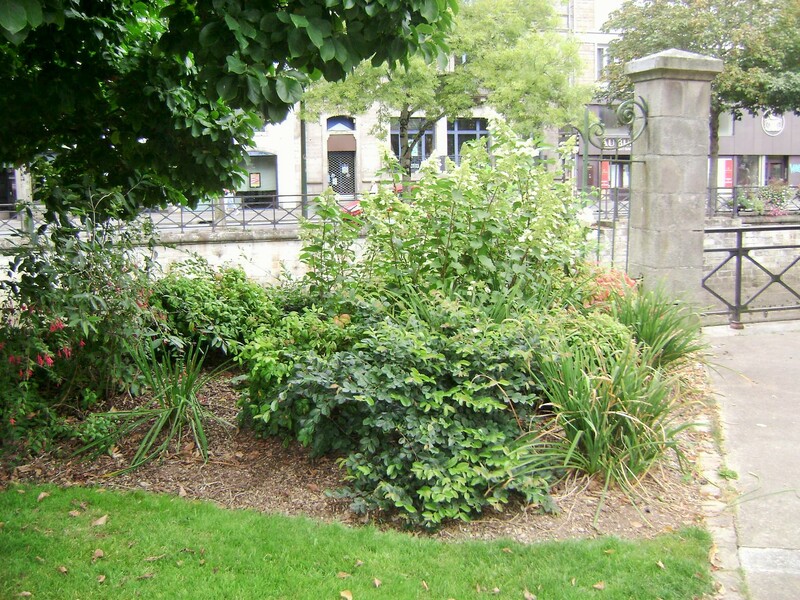 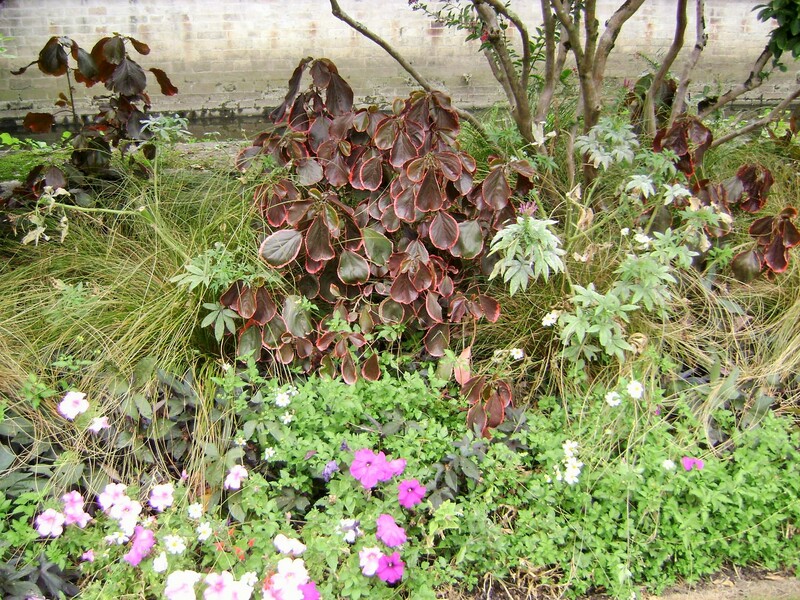 In the heart of old Quimper, near the cathedral and along other historic buildings on the waterfront, this lovely park provides a pleasant promenade by the river. 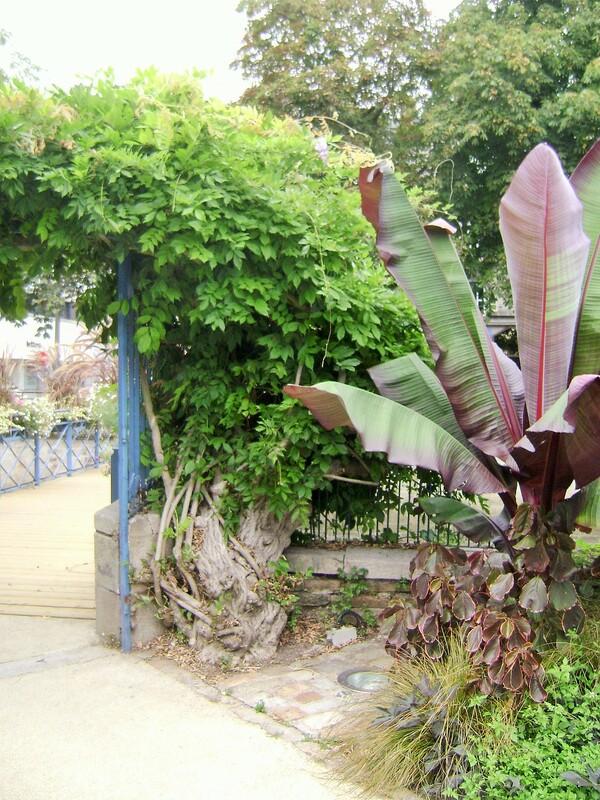 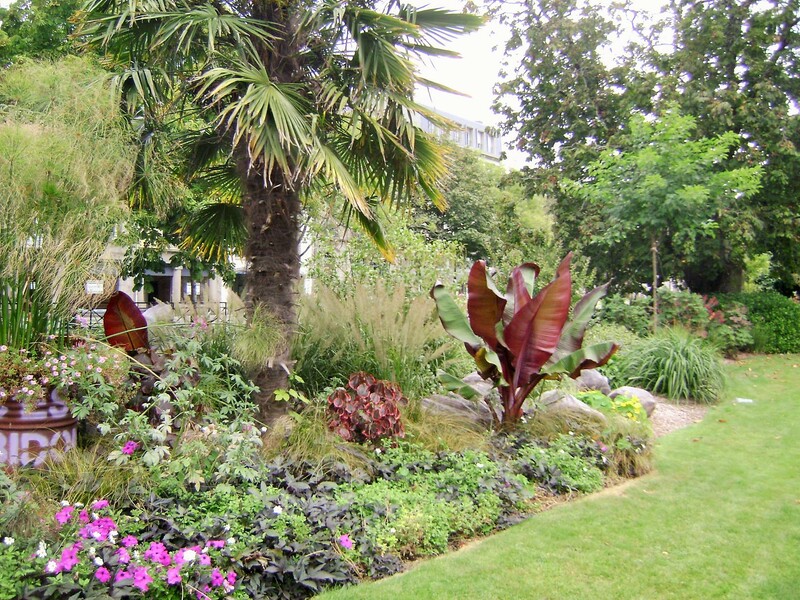 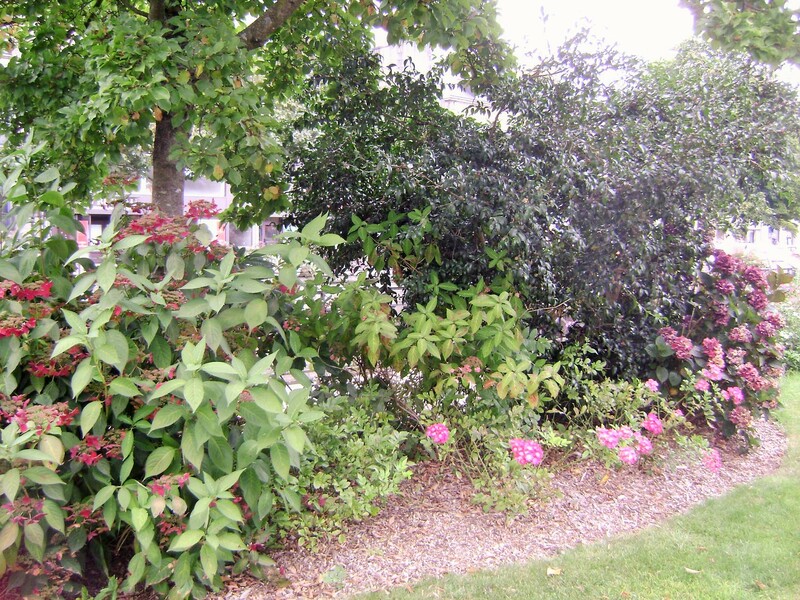 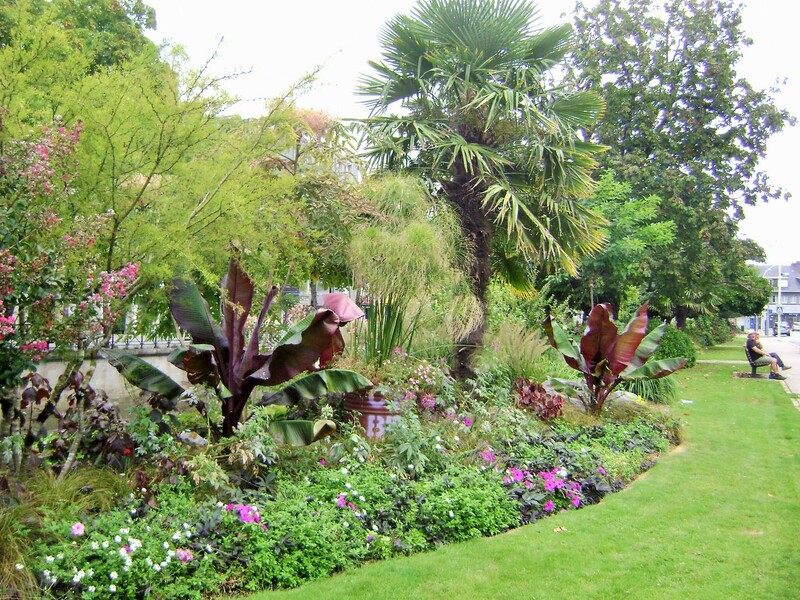 It is lined with a colorful mix of banana trees, grasses, perennials and shrubs, as well as very old wisteria growing over arbors. 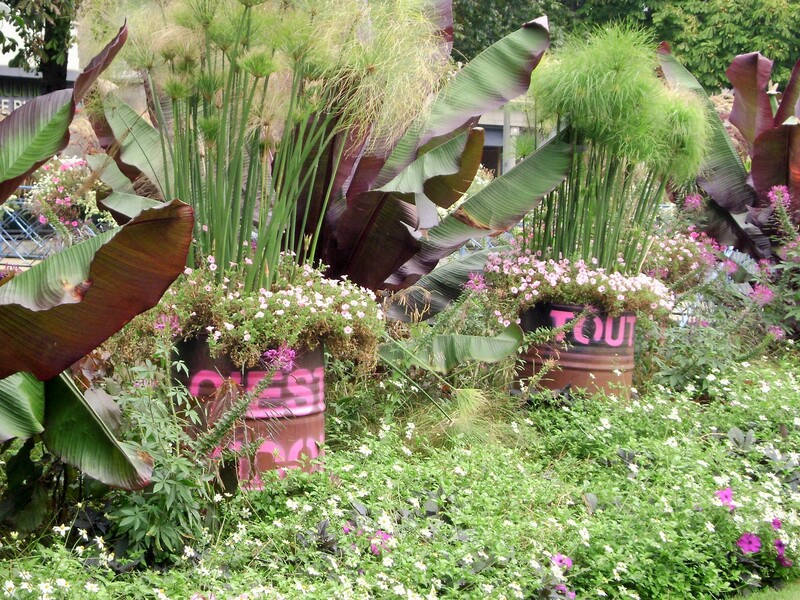 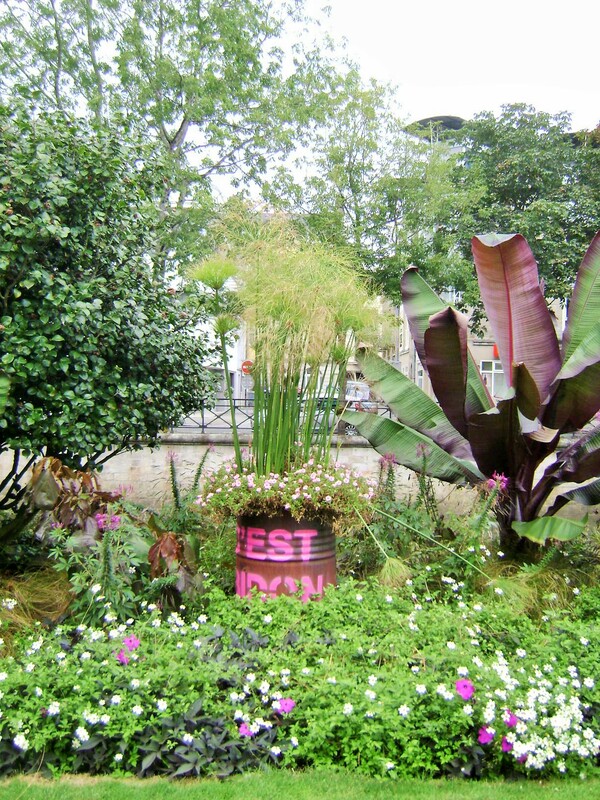 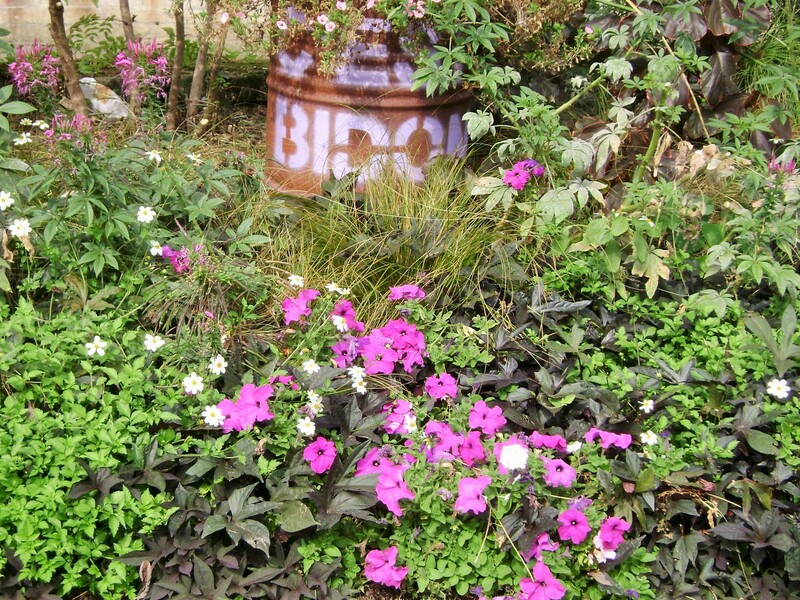 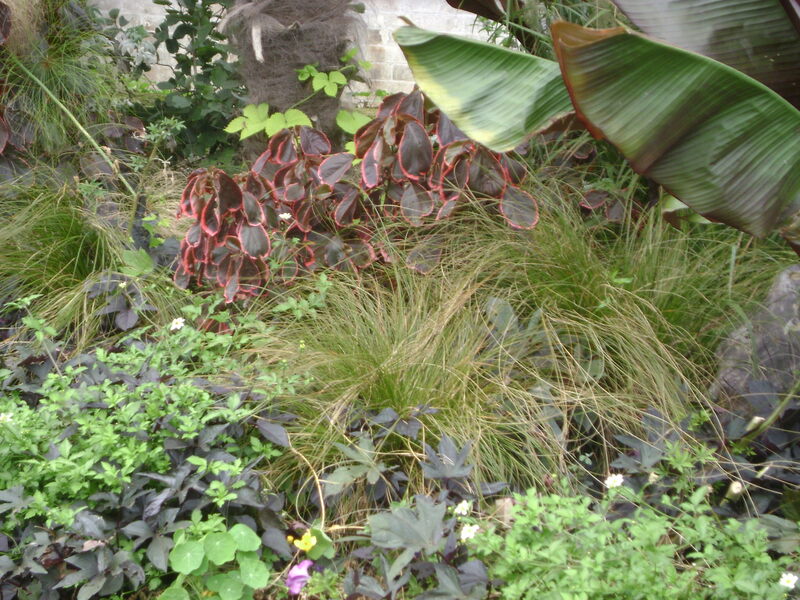 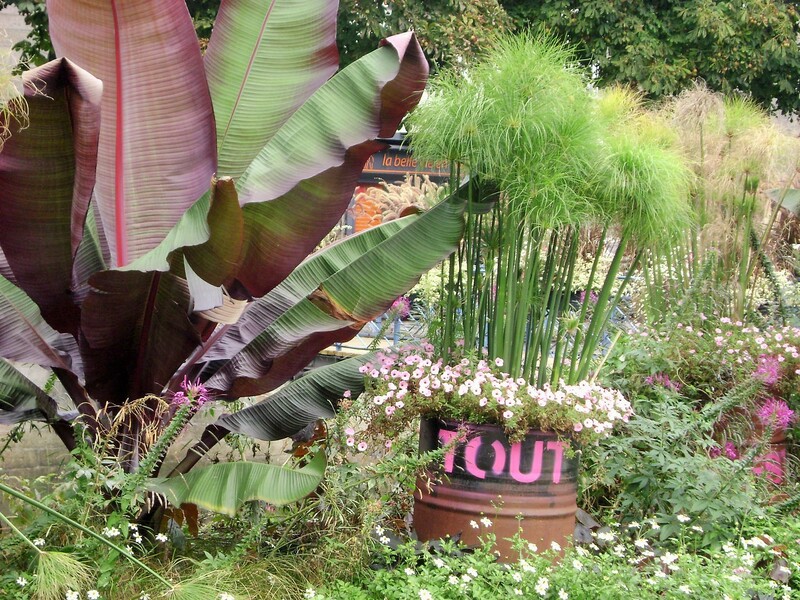 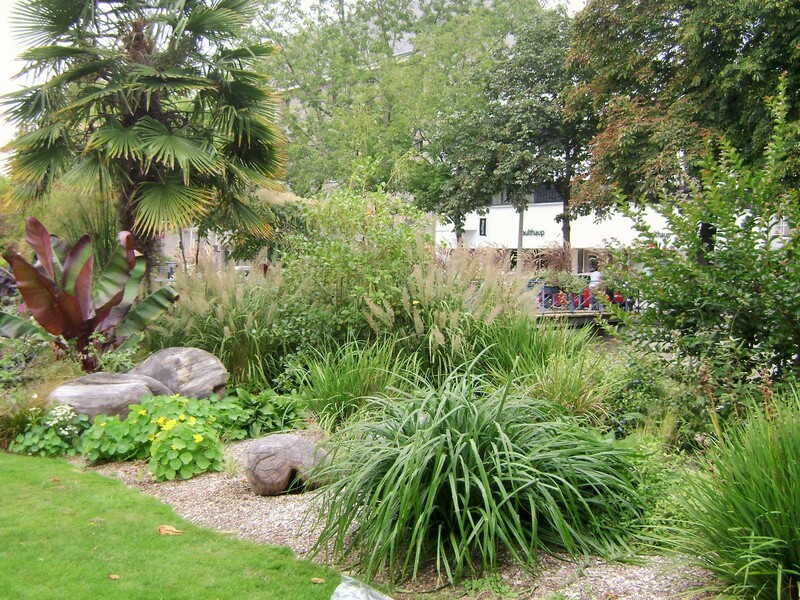 The lushness of the perennial borders and the choice of foliage give it an almost tropical feel, while the upcycled barrels used as planters give it a more modern edge.